At Heritage Baking Company, the security of your personal information is of utmost importance. When you purchase one of our delicious All-Butter Fruit Cakes, we always ensure that your personal information (including your email address and credit card information) is never shared with any third parties. 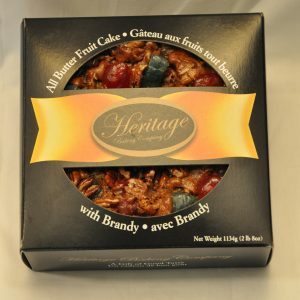 If you have any questions regarding ordering our delicious fruit cakes or would rather speak to us in person, please contact us by phone. PICKUP IS ALSO AVAILABLE IN THE GREATER TORONTO AREA. 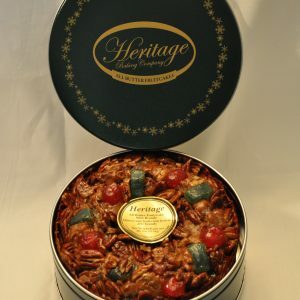 IF INTERESTED IN PICKING UP OUR DELICIOUS FRUIT CAKES, PLEASE CALL US RATHER THAN ORDERING ONLINE TO AVOID SHIPPING CHARGES.